Henry Percy married Mary Talbot in early 1524. He was a member of the council of the north of England and became the 6th Earl of Northumberland on the death of his father in 1527. One of his first tasks was to suppress the rebellion led by Sir William Lisle, a former constable of Alnwick Castle. 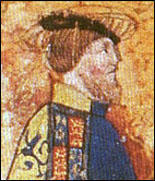 Lisle and his supporters surrendered themselves to Percy on 25th January 1528. He was executed the following month. Countess Mary gave birth to a still-born child. Her inability to produce an heir caused problems in the marriage and they began living apart. Mary told her father, George Talbot, 4th Earl of Shrewsbury, that her husband had claimed that their marriage was invalid because he had been contracted to Anne Boleyn, who was now the mistress of Henry VIII. In June, 1532, he informed Thomas Howard, the Duke of Norfolk, of the details of the matter. 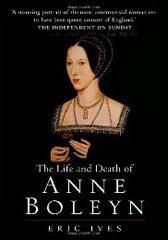 Mary now sought an annulment, on the grounds that her husband had a pre-contract with Anne Boleyn. The following month Henry Percy was examined by William Warham, the Archbishop of Canterbury. However, the petition was thrown out by Parliament and the Percys remained married. Henry Percy suffered from poor health. It was claimed that "his whole body (was) yellow as saffron". This suggested that he was suffering from liver failure. Despite this in May 1536, he was forced to be a member of the jury that tried Anne Boleyn. Like the other peers he gave his verdict against her, then collapsed after sentence of death had been pronounced. 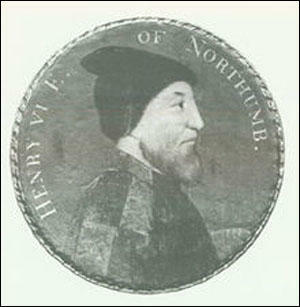 Henry Percy died on 29th June 1537. When it chanced the Lord Cardinal at any time to repair to the Court, the Lord Percy would then resort for his pastime into the Queen's maidens, being at the last more conversant with Mistress Anne Boleyn than with any other; so that there grew such a secret love between them that at length they were insured together, intending to marry. Henry Lord Percy was the heir to great estates and an ancient name: his father was that northern magnate known as "Henry the Magnificent", the 5th Earl of Northumberland. There had been talk of a betrothal when he was about fourteen to Lady Mary Talbot, the daughter of the Earl of Shrewsbury, but those negotiations had apparently fallen through. As was often the custom with such young lordings, he was currently being educated in the south, in the household of Cardinal Wolsey. Lord Percy was now about twenty. His dangerous love affair with Anne Boleyn took place against the background of the Queen's household where he found the "fresh young damsel" in waiting. The danger at this point of course lay in the fact that Lord Percy was one of the most eligible partis in England, who could be expected to make a most profitable match, whereas Anne Boleyn (with a brother to inherit her father's modest wealth) was no kind of heiress. Lord Percy was not the first, nor the last young man to become entangled with a poor young woman in such a situation. The propinquity of the various noble households, the close living conditions of the young people, meant that the education in courtly manners their parents expected them to receive was often accompanied by other kinds of more exciting instruction. According to Cavendish, Percy began by going to the Queen's chamber "for his recreation" and ended by being deeply enamoured of Anne, an affection which she returned. "There grew such a secret love between them that at length they were ensured together" (that is to say, they were bound together by a promise of marriage or a precontract). Again according to Cavendish, Cardinal Wolsey put an end to the romance - hence Anne Boleyn's subsequent hatred of him - at the request of the King (whose motive was said to be his own predatory intentions in that direction). Lord Percy put up a spirited defence of his choice, mentioning Anne's "noble parentage" and royal descent, while contending in any case that he was free to make his vows "whereas my fancy served me best". Lastly, he mentioned that "in this matter I have gone so far before many worthy witnesses that I know not how to avoid myself nor to discharge my Conscience". Nevertheless Lord Northumberland was sent for. A secret conclave took place with the Cardinal, at the end of which the Cardinal called for "a cup of wine". Lord Percy received a furious parental lecture, the match with Lady Mary Talbot was resurrected in 1522, and in early 1524 he duly married her. 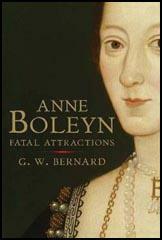 Anne Boleyn... inadvertently ensnared the unfortunate Henry Percy into a genuine infatuation. Percy, who was the son and heir to the Earl of Northumberland, was living in Wolsey's household at the time (between 1522 and 1524), and was rather a gauche young man. He was also contracted to marry Mary Talbot, the daughter of the Earl of Shrewsbury. The affair caused something of a scandal, and the removal of the unfortunate young man in disgrace.